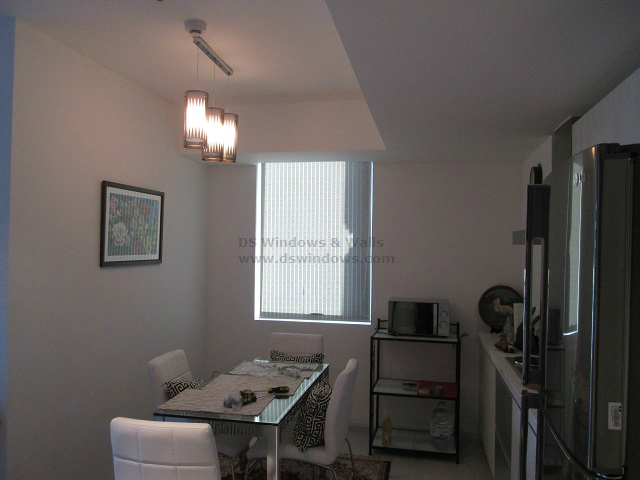 It’s truly unfortunate to have small space for dining area and kitchen because most of us prefer bigger and larger space to move freely and be comfortable in our own place, but since life isn’t perfect, we must be resourceful in what we have, just like our client in Diliman, Quezon City who owned a unit with limited space for her dining and kitchen. With small area, her first thought is that only limited furniture can fit in there and since she wanted to have a cozy and fashionable dining room, she selected carefully all her furniture sizes and its arrangement. First of all, she started with the wall color and she chose white for clean and fresher look. Then, for the most important furniture in the dining room, which is the dining table, she bought one which has clean yet elegant look, perfect for her contemporary theme. She also had picture frame as her wall decoration and white and gray color for kitchen sink and refrigerator. 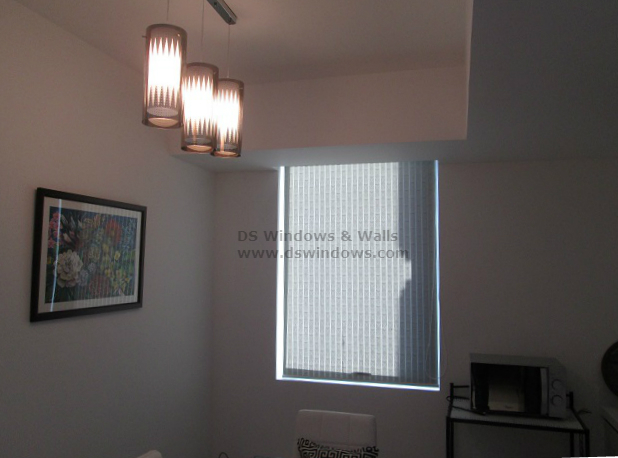 For window dressing, she opted for sunscreen material of Roller Blinds with gray color and vertical lines pattern to fit with her white dining table, kitchen sink and other appliances and furniture. Using sunscreen roller blinds help maintain the bright look of her dining and kitchen area while reducing the amount of heat and sunlight from entering in her room. Roller Blinds consist of various designs and patterns. DS Windows & Walls offers varieties of colors and designs and you may check it in our web store angryblinds.com.ph. You can also visit our showrooms at 2nd level Pacific Mall Lucena City, 3rd level Robinsons Metro East, Pasig City and 4th level Waltermart, Makati City. For further inquiries, please call us at (02) 893-1373 / (02) 403-3262 / 0916-311-3909 or email us at inquiry@dswindows.com.